Not all bathrooms are spacious and well-lit. Older homes often fail in this regard, especially if they were designed many years ago when no one thought the bathroom was very important. It was simply considered the place to have a quick bath or shave and leave as soon as possible so the others could use it. These days it is more of a place for rest and relaxation as well as for applying make-up and doing other beauty routines. Such things require light and space, but if your bathroom has neither, what can you do? 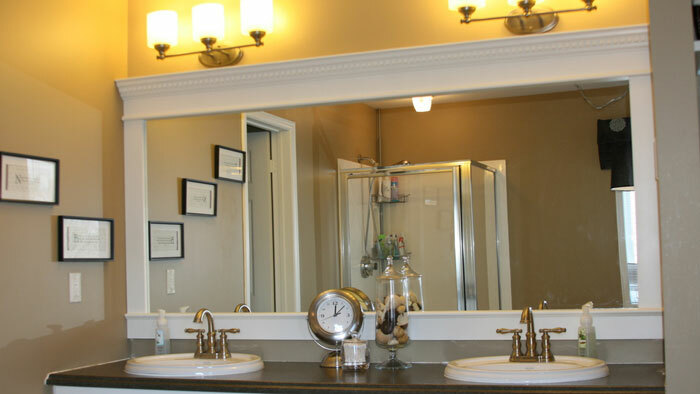 Not everyone wants to renovate, but there are still ways and means of enhancing the light and space in your bathroom. We all know that mirrors are needed in the bathroom so that we can see what we are doing. Shaving, plucking, styling hair and adding make-up all need a mirror. However, mirrors also reflect other things apart from your face. If you place an additional mirror right opposite the window, your light will increase and so will your perception of space.